You don’t absolutely need metal weights to enhance your strength and enlarge your muscles. You can just do pull-ups and use your entire body weight instead. Even if that’s not enough weight, you can always wear a weighted vest to make things more challenging. But it’s also a challenge to find the best place tom do your pull-ups. Your best solution is to just get a pull-up bar which you can place over your doorway. 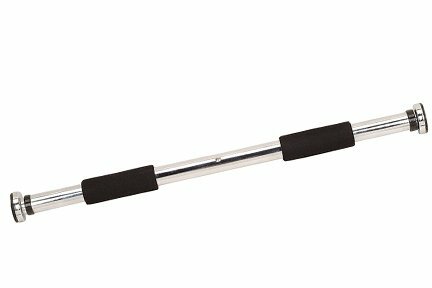 The best pull-up bar should be able to support your weight (or even more) and it should still keep your door frame from damage. Of course, it should fit into your door frame (the best ones are adjustable, and it should allow for multiple grips. You should pay attention to how these things are installed. 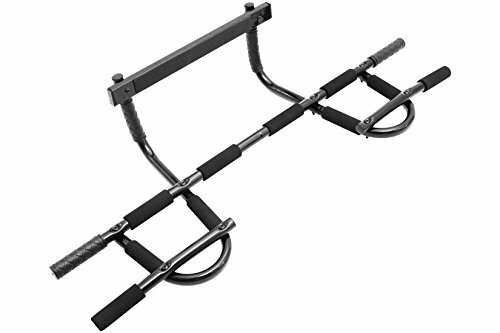 Some use brackets and screws to make them more secure, though others can easily be detached so you can use the device for pushups and sit-ups as well. This is rated for up to 220 pounds. The handles are padded and allow for 3 grip options: true wide grip pull-ups, hammer grip, and close grip. It’s adjustable for door frames measuring 27 to 35 inches wide, and it has a guard for the door frame. With this pro version, support is available for up to 300 pounds. That means you can wear a weighted vest for extra challenge. It also comes with a door frame guard and it’s adjustable from 27 to 25 inches. It’s certified for up to 300 pounds, and that’s verified by ASTM. It installs in a few seconds without the need for bolts, holes, or any kind of drilling. 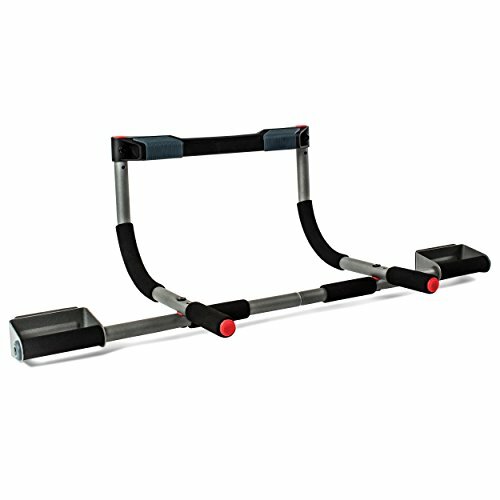 It’s secure enough to allow motion for your exercises. The weight limit is at 300 pounds. It’s designed for doors ranging from 24 to 36 inches wide, with molding up to 3.5 inches wide. Pull-ups and chin-ups can be performed with 3 grip positions: wide, neutral, and narrow. 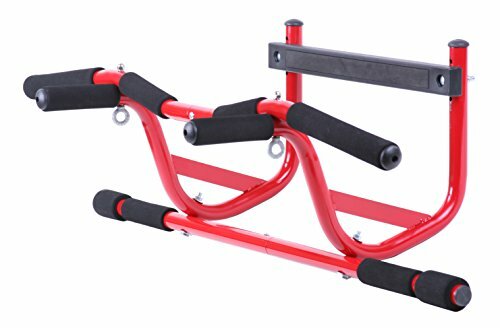 It installs quickly, so you can use it right away for sit-ups, tricep dips, or pushups. 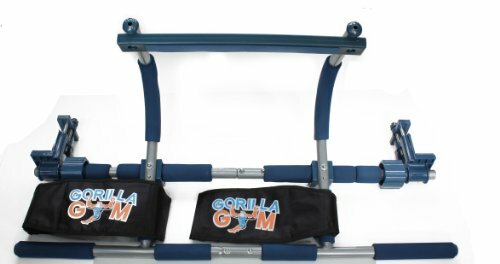 This allows for up to an amazing 12 grips, and supports up to 300 pounds. 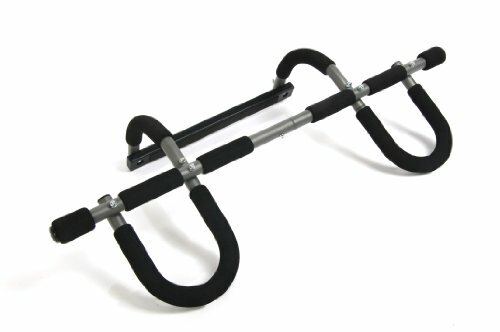 It installs quickly so you can use it for other exercises such as sit-ups and crunches. This can hold up to 220 pounds or so, and it can be adjusted to go from 24.5 to 36 inches. 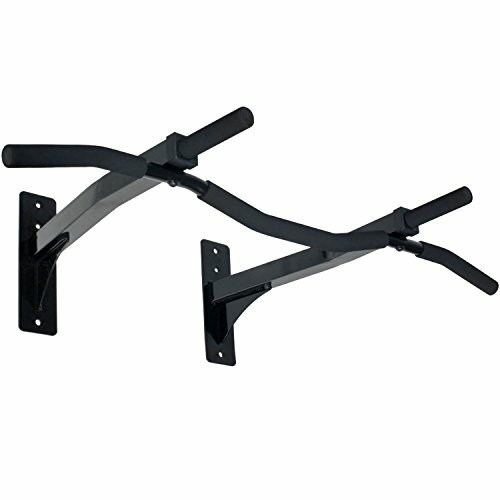 The handle has soft padding and allows for a non-slip grip, and it comes with brackets for a secure installation. This may be made of plastic to protect your door frame, but it’s strong enough to support 300 pounds. 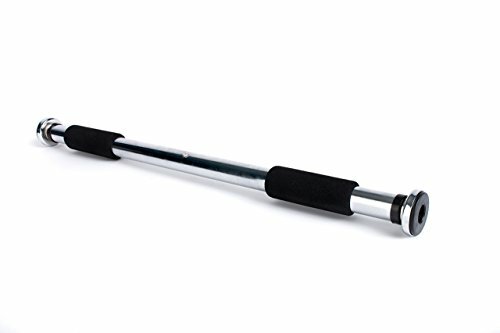 It offers a lot of clearance for wide range of motion, the handles are padded, and it fits 32 to 34-inch doorways. This steel construct holds up to 250 pounds. It allows for 5 grip positions as well. The padding for the handles is thick, and you get a comfortable no-slip grip. 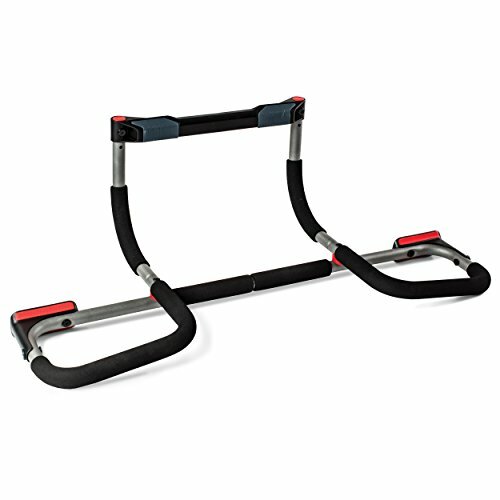 It’s easy to install, and you can easily use it on the door or on the ground for other exercises. This allows for up to 4 grip positions, and you can choose between non-slip knurled steel or high density foam for your grip. Not only is this very stable, but it is 14 inches from the wall so you have more space to work with. This supports up to 300 pounds, and to make sure of that it comes with the screw-in brackets you need. This will fit doorways ranging from 24 to 36 inches. 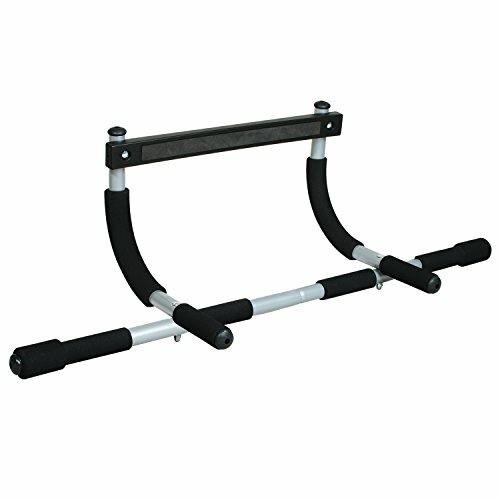 The bar is also covered with foam for a more comfortable grip.